JetSMART airlines will enter Argentina’s low-cost market with 5,000 flights for one peso (taxes included). Flights will start at ARG$299 once the promotion ends. JetSMART airlines is entering Argentina’s fledgling low-cost air travel market with a bold promotion. From today, the company is offering up 5,000 tickets for any of its 12 round-trip domestic flights for practically nothing: 1 peso per passenger, with fees included, the company says. 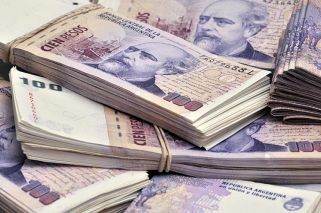 The Chilean firm, a part of the US conglomerate Indigo Parters, officially launched its service in Argentina on Tuesday. Beginning in April, new JetSMART routes will connect Buenos Aires to Mendoza, Córdoba, Neuquén, Bariloche, Iguazú, Salta and Tucumán. Flights will start from 299 pesos, once the promotion is over, executives confirmed. At a press conference on Tuesday, JetSMART CEO Estuardo Ortiz said the company was committed to extending accessible flights across the continent. While the airline will be operating solely in Buenos Aires for now, new routes will open up in the coming months. Connections between Córdoba and Salta and Córdoba and Neuquén routes will begin operating in April, followed by Mendoza and Neuquén in May. 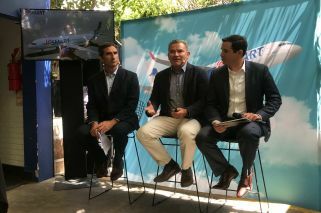 Flights connecting Bariloche with Córdoba and Mendoza will be up and running in June, airlines representatives added. Ortiz said low-cost flights will soon spread to new destinations across the continent too, including Chile and Brazil. “Each city in South America should have low-budget access," he said. The company, which was recently approved as an Argentine airline after receiving a Certificate of Operation of Aero-commercial Services (CESA), already has a local executive team, pilots and crew to start domestic operations from April. Transportation Ministry resolution 5/2019 has granted the company 261 routes for both domestic and international service. Ortiz said JetSMART was keen to work with local talent, saying its operations in Argentina would employ Argentine pilots. Brand new Airbus A320 planes will be used for all of Argentina’s inagural JetSMART routes, Gonzalo Perez Corral, JetSMART Argentina’s General Manager, also announced Tuesday. Travellers who miss out on the company’s 5,000 one-peso tickets can still catch a good deal on the airline’s early flights. The coupon code “0KM” will give customers 50 percent off their purchase until until the promotion ends Friday. The company will offer flights starting at 299 pesos once the promotion ends, Ortiz confirmed.